For more information or an application form to secure your place on a summer school, please email summerschool@plymouth.ac.uk. Enjoy a mixture of academic adventures and social activities on our University summer school: the perfect way to visit Plymouth and to get your first taste of university life in the UK. a visit to the fortified manor house, Powderham Castle. For more information or an application form to secure your place email summerschool@plymouth.ac.uk. 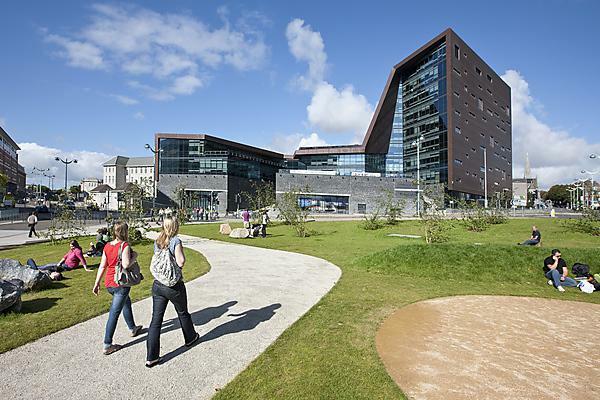 The University of Plymouth International Business Summer School is a great opportunity to visit Plymouth for three weeks in the summer months to study international business management. You'll gain an insight into business strategy, UK business practices and how cultures impacts upon international business. Taught by our Faculty of Business academics and industry specialists with incredible international lecturing experience, you'll gain an insight into leadership, entrepreneurship and cross-culture communication. Explore strategic and cultural issues in depth. the challenges of being entrepreneurial. To find out more email summerschool@plymouth.ac.uk. The Art, Design and Architecture Summer School is a great opportunity to visit Plymouth for two weeks in the summer months to learn, make friends and try out new experiences. Our Summer School will provide you with a unique experience to explore and develop your creativity, knowledge and practice. Our program is fast-paced and hands-on with lots of practical team-work and collaboration. All of this happens within the impressive Roland Levinsky Building, offering some of the very best design studios in the UK, in the heart of one of the most beautiful parts of the country. There will be visits away from the city, fieldwork within it and optional activities at weekends. Our Student Ambassadors will be with you throughout your stay helping you navigate the city and explain more about the University of Plymouth and life in the UK. The opportunity to present and document your project in portfolios. The Humanities Summer School is an ideal opportunity to visit Plymouth for three weeks in the summer months to learn, study History and English literature, make friends and try out new experiences. Our Summer School will provide you with a unique experience to explore the history, heritage and literature of England’s South West, the setting of many novels by Agatha Christie and Daphne du Maurier and of Winston Graham’s Poldark novels and their TV adaptations. It is an area with a rich historical heritage from Sir Francis Drake to the pilgrims boarding the Mayflower. We offer interactive workshops to explore the literature and history of the South West. We will explore Plymouth, Devon and Cornwall, to learn more about the city and its surrounding landscape, from Elizabethan houses to artefacts of World War 2. We will also learn more about how the scenery, from haunted moorlands to imposing castles, which inspired writers across the centuries to compose their masterpieces right here in the South West. There will be visits to sites within the city, and field visits to neighbouring historical and literary sites. Our Student Ambassadors will be with you throughout your stay helping you navigate the city and explain more about the University of Plymouth and life in the UK. The opportunity to present and document your projects.